My voters across the political spectrum have responded with words like disgusting, inflammatory, and shameful. However, while liberals are using that language to describe the president, the Trump base is using the same words to talk about the media. “Does our president have any decency at all?” asked Monroe, a Democrat from Mississippi. On the other hand, Eve, a Republican from Ohio, told me, “I am disgusted over this constant effort by the media to destroy this presidency.” Added Kevin from Arizona, “Come on. The only thing that bothers me is the holier-than-thou media reaction, as they try to broadcast his words and send the country into a tizzy.” In general, Trump voters say they are happy with the president’s policies, and are focused on what he does instead of what he says. The president is on every TV screen, every cell phone, and every front page. And he’s not going away. Most striking to me is the déjà vu. 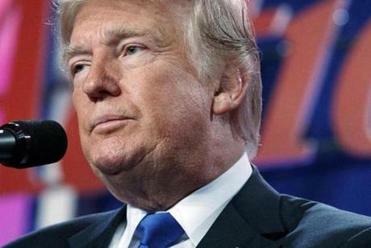 Trump says something completely unacceptable, Democrats are outraged, and the president’s comments take over the airwaves for several days, distracting us from the issues of the day. We have heard more about his bigoted rant than a false missile alert in Hawaii, the fear that Dreamers have about being deported, the continued devastation in Puerto Rico, the vulnerability of the Iran nuclear agreement, and so much more. If we believe that it is critical for the president of the United States to be a model of dignified behavior for our children, a beacon for the rest of the world, and someone whose comments make us feel proud to be Americans, Trump will continue to disappoint us. If we thought that Trump would mature as he learned the job, that he would evolve and become more diplomatic, we have learned that this won’t happen. The question becomes how we deal with it, especially when our outrage is not making much of a difference. Perhaps next time the president says something offensive, we can collectively decide not to dignify his comments with a response. Diane Hessan is an entrepreneur, author, and chair of C Space. She has been in conversation with 400 voters across the political spectrum weekly since December 2016. Follow her on Twitter @DianeHessan.